The East Somerville Community School is located at 50 Cross St., Somerville, MA 02145. There are multiple ways to get to this beautiful facility. Public Transportation: The #80 and #90 MBTA buses stops right in front of the school. The #89 and #101 buses also stop close by, and the school is a 15-minute walk from Sullivan Square Station, on the Orange Line. Visit mbta.com for more information. Car: The school is conveniently located right off I-93, near Sullivan Square and Assembly Square in Somerville. If you have a Somerville parking permit, there is on-street parking all around the school. If not, the school has a parking lot with approximately 40 spaces where you can park for free on a first-come, first-served basis. The Somerville Traffic and Parking department will be putting out signs reserving the parking lot for attendees of the BAKE workshop. 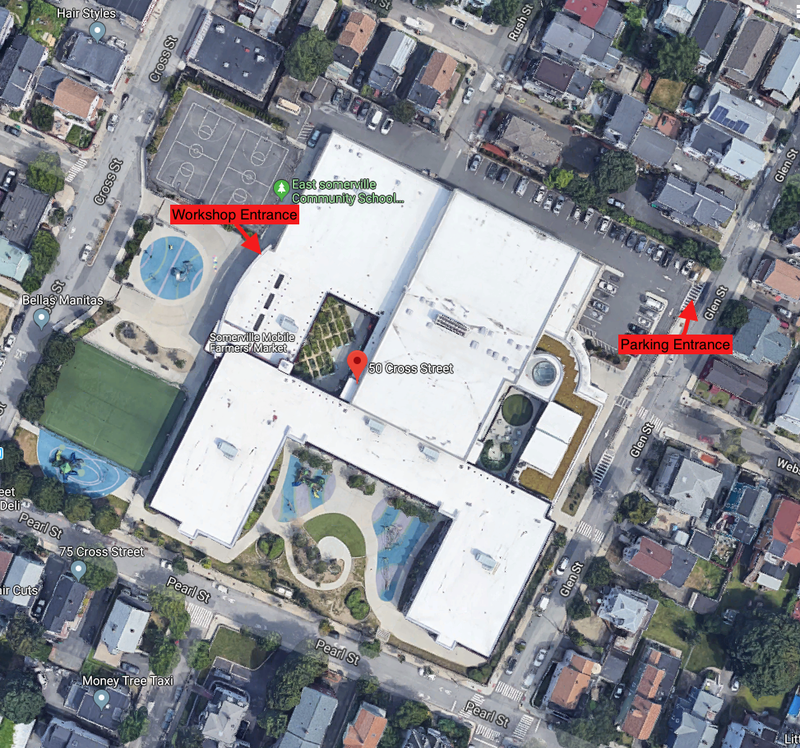 The entrance to the parking lot is located at the back of the school at 53 Glen St., Somerville, MA 02145. If you are driving and plan to park in the lot, use this address for GPS. Enter the school on the Cross Street side, at the door near the outdoor basketball courts and the cafeteria. The workshop will take place in Room 145, just inside that door.